Horne Technologies cc. proudly represents and distributes several international manufacturers products in South Africa. 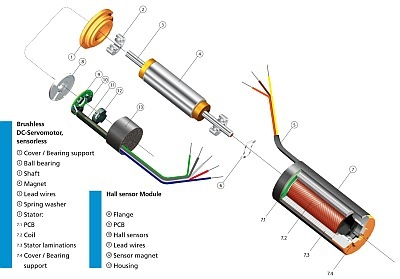 The motors range from small DC brushed and brushless motors through to stepper and servo motors. (click on logos below to jump to relevant section). 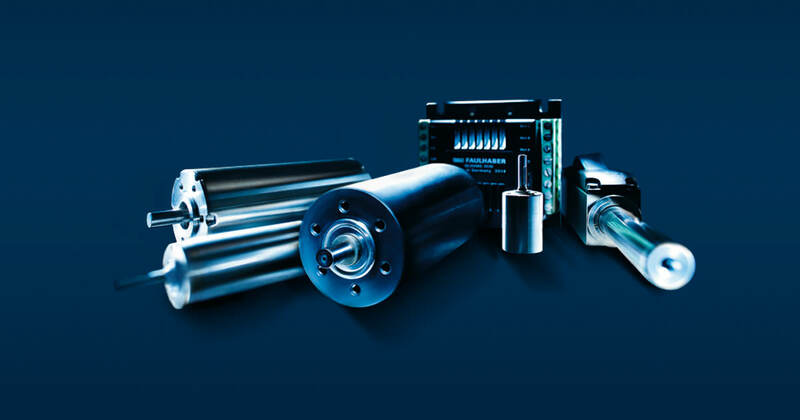 Horne Technologies is able to supply almost all kinds of motors, regardless of size and power, however we specialise more in high accuracy, smaller systems, for military, space, scientific, optical and precision applications. However we welcome any enquiries and encourage you to look to us for your motor solutions. We are also able to supply a full range of gearheads, encoders, drives, multi axis controllers for these motors. The name "FAULHABER" is synonymous with unrivalled technology, competence and services delivered by a global network of companies renowned for their expertise in high precision drives and micro-mechanical systems. The group specializes in the development and production of high-quality standard products as well as custom solutions for practically all areas of application in which miniaturization, high precision and high reliability are essential. FAULHABER offers the largest consolidated portfolio of miniature and micro drive technologies available in the world today. This unique basis provides almost limitless possibilities for innovation. Based on decades of application experience in a myriad of high-tech areas of application, FAULHABER develops new drive systems tailor-made to the ever more challenging needs of our customers. LAM Technologies is an Italian manufacturer of components for industrial automation in the market for over 20 years and leader in the motion control field. Solve your problems of automation! Constant attention to the customer needs and continuous technological innovation have created a range of high performance products at competitive costs that are widely used in many market segments. The extraordinary flexibility of the products and their ability to stay on the cutting-edge (for example through the free software upgrading) rarely make feel the need to resort to a custom product and, however, for customers who feel the need of specific technical features, price or size not available in the standard products, LAM Technologies is able to offer an efficient design service that quickly supplies to the customer optimal solutions. LAM Technologies owns all the know-how used in the development cycle of electronic, mechanical or software and we are always committed to maintaining the high level of quality achieved. Testing is performed on every single product, mostly with automated systems, for a thorough verification of compliance with the stated technical specifications. The values measured on each product are permanently stored in the company database. Through the only serial number we are able to accurately identify all the parts used (type, manufacturer, lot, etc.) and trace all the activities and people involved in the manufacturing of the product. We are well-aware that maintaining our customer competitive means consolidating our success and that is why, year after year, we strive hard to provide stability in prices and availability of products from stock. Even in the hardest market times our customers know they can rely on a reliable partner, able to quickly find the solution to their needs. Empire Magnetics - Motors that Survive! Empire Magentics provides quality motor products designed to perform in environments and applications where ordinary motors are unsuitable. Custom systems and modifications are available upon request. Our motor products are constructed from the highest quality materials, and are built to order. More than thirty years of motion control experience, including the latest motion control technologies insure that engineering solutions provided by Empire Magnetics are the best available for your application. Empire Magnetics products are distributed by a nationwide network of motion control sales professionals. Your local distributor carries the drives and controls, and the accessories needed to build a complete motion control system. Arcus Technology, a motion control company headquartered in California, USA, is a global supplier of stepper motion control products founded on the principle that innovative motion control solutions can be simple and affordable to our customers. To fulfill your various communication needs, we provide a wide range of motion products with USB 2.0, RS-232, RS-485, Ethernet and CAN communications interfaces. Arcus products are designed to ease your programming and usage requirements. Extensive range of programs and source code is available to help you get started immediately and maintain the product easily. 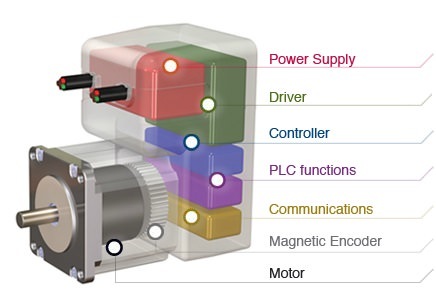 We provide integrated stepper motor/driver/controller solutions to ease your wiring and connection efforts. By utilizing innovative technology, streamlined manufacturing, and efficient sourcing methods, we reduce the cost and pass on the savings to our customers. Arcus Technology, a company that is all about helping you, to succeed in motion control applications. Our mission is to develop and introduce innovative, user-friendly, and cost-effective products to the motion control industry. Our success is measured by the success of our customers, vendors, partners, and Arcus family members. Arcus focuses on providing motion control in a compact package for greater use of space and efficiency. Our DMX-K-SA-11 packs a NEMA 11 motor, controller and driver into a cross section the size of a 1 inch square. Arcus is constantly developing new closed-loop motion control technology to bring the benefits of position feedback control. We have developed “Smart” drivers and controllers that feature automatic position correction at the cost of a typical stepper motion solution. Arcus Technology strives to provide powerful yet easy to use software packages to our customers. Strong software allows you to bring your motion control application to market quickly and easily. Some examples include: comprehensive standard product GUIs, firmware upgrade software and easy-to-use DXF conversion software.